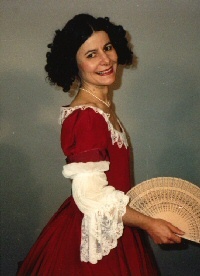 Barbara holds classes in Baroque Dance in London, around the UK and abroad, for both beginners/elementary and intermediate/advanced students. Barbara has many years of experience in baroque dance, both as performer and choreographer, as well as teacher of baroque dance. She has taught in Europe, the Baltic Countries and Australia in addition to courses in the UK. She has also taught early dance on the BA (Hons) degree course in Ballet Education at the Royal Academy of Dance in London. As well as baroque dance, she has given courses in baroque gesture for singers.